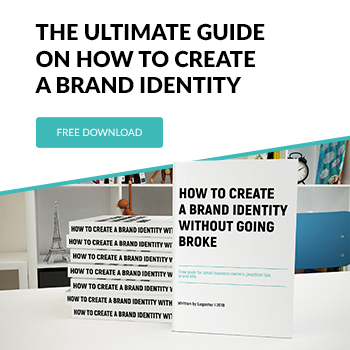 If you have already created a logo on the Logaster website and now you need some help with the design and uploading of files for social media, this guide is for you. What does the social network’s plan include? How to edit products for branding? How to download products for social networks? a possibility of free editing after payment. 1. “How to make a payment and download the products created with Logaster?”. 2. or “How to change your payment plan on the Logaster website”. How to edit products for social networks? 1. Log in to your account on the Logaster website and select the logo on the brand’s page. 2. To get the opportunity to return to the original appearance of the brand, we recommend that you duplicate its design before making any changes. In this case, if you do not like the new design, you will always have a copy of the previous version. 3. On the logo page, click the “Edit” button. 4. To change the background color, icon (its shape), or text in the category “Social media kit” on the left menu select: “Colors” → “All backgrounds”→”Logo on the corporate color background”. 5. Edit the color of the icon (its shape) by clicking on the “Shape” button and selecting the desired color. 7. To edit the slogan on the images with a horizontal logo, click on the color icon next to the slogan and select the color that you want. Changes will also be made to the logo design on the corporate background. 8. Color changes made to the logo name, monogram and shape are applied to all social media images without exception. 9. To change the background color, on the section “Colors” select a color that you like. Changes will be made to all products that use the corporate background. Now, save the changes. 10. To edit the layout of each image for social networks separately, go to the “Social media kit” page and click on the logo that needs to be edited. 11. In the lower right corner of the image, click on “Edit” (pencil). 12. 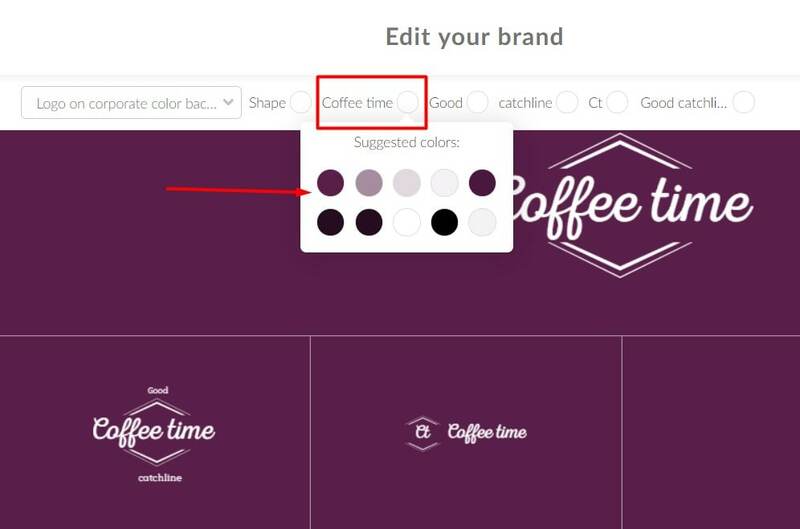 Here you can change the design (as part of a combination of your brand’s corporate colors). 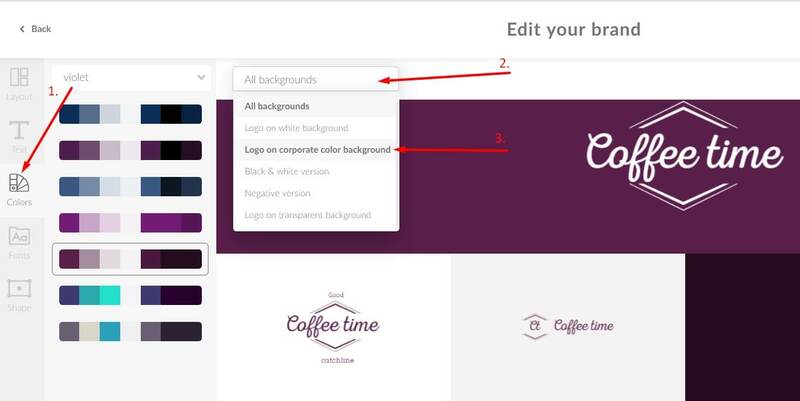 To do this, simply select “Layout” and the design you like. 13. To add a new text, simply click on the “Text” tab and add the necessary information in the appropriate field. Now it will appear on your image. 14. You can also change the layout of the logo that is used in your image by going to the “Logo” section and choosing the one that is best suited for the image design of your social networks. 15. Do not forget to save the changes by clicking “Save”. 1. To go to the social network’s design, on the left sidebar, click on the category “Social Media Kit”. 2. Select the image that you want to download. 3. Then, click “Download logo, PNG”. The image will begin downloading to your computer automatically. If you have any further questions, please contact us by e-mail: support@logaster.com.